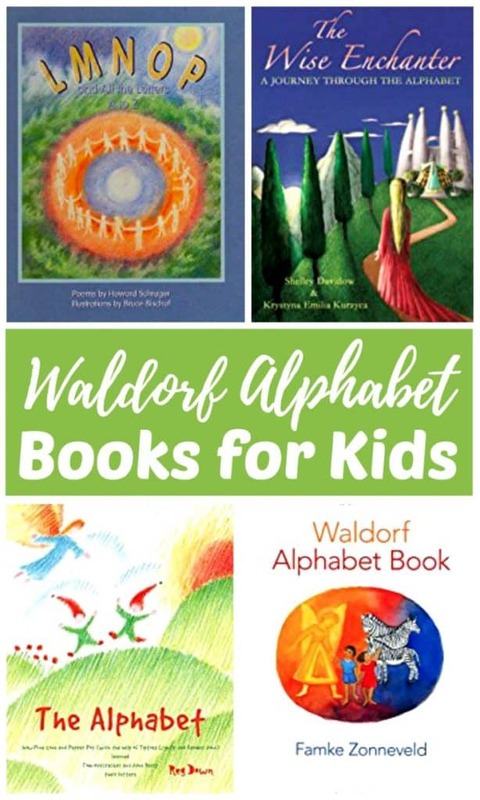 Waldorf alphabet books are read to a young child to engage the imagination and bring the ABC’s to life. The fairy tale like stories will help a child develop an intimate relationship with each letter of the alphabet. Waldorf educators believe that it is important to develop the imagination before reading is introduced. The first part of this exploration takes place through rhymes, poems, and stories like those found below. It is believed that reading these beautiful books and magical tales will help unlock the keys to the written word and prepare a child to read. You may also like Kids’ Books That Teach Important Life Lessons and Waldorf Wet-on-Wet Watercolor Painting. I have placed these Waldorf alphabet books for kids in order of the manufacturer’s recommended ages below. Remember that these are general guidelines that don’t always fit for every child. I have been reading all of the books found below to my four-year-old and she is LOVING them! I find her looking for the letters that she knows in various forms of print that she finds around the house. It’s magic! The first two books listed are perfect for the preschool aged child. If your child enjoys listening to short stories, chapter books, and fairy tales with limited illustrations they may be ready for the final three books listed below. Follow the lead of your child and you can’t go wrong. If you begin to read one that doesn’t seem to resonate with your child, put it away and try again at a later date. They may not be ready for the magic it contains just yet. I hope you enjoy reading these beautiful poems, stories, and tales with your child as much as I do. Click on the title to learn more about each book. Ages 4 and up — Each letter of the alphabet is featured with a warm color illustration and a unique, catchy, alliterate poem perfect for reading aloud. Some suggested means for using L M N O P and All the Letters A to Z for teaching young people are presented in a thoughtful forward. Ages 8 and up — Words are disappearing from the world. Something is lurking in the deepest waters, devouring all the words that are no longer used. No one has noticed, but the world is slowly growing darker. Four children from the corners of the earth have been sent on a quest to rediscover each letter, unlock the treasure of language, and thereby grow wise. Time is running out; if the children do not reach the castle of the Wise Enchanter in time, Wisdom and light may vanish from the world altogether. Ages 8 and up — Pine Cone and Pepper Pot, with the help of Tiptoes Lightly and Farmer John, set out to teach Tom his letters in this wonderful story. Ages 8 and up — An alphabet tale unlike any written before. Multilayered and broad, it reads as a children’s story, but underneath run deeper waters that adults can plumb for profit and pleasure if they take delight in the spoken word. 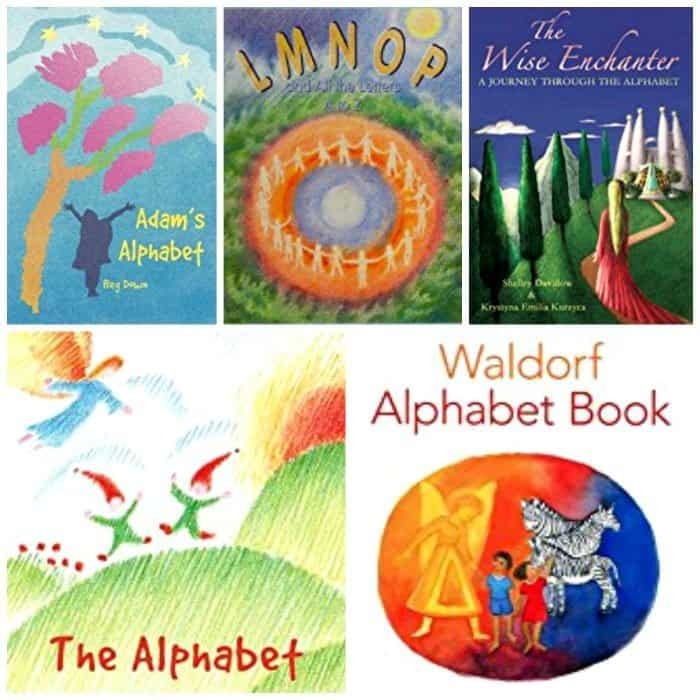 Waldorf alphabet books are read to a young child to engage the imagination and bring the ABC’s to life. The books listed are for preschoolers and up. The fairy tale like stories will help a child develop an intimate relationship with each letter of the alphabet. It is believed that reading these beautiful books and magical tales will help unlock the keys to the written word and prepare a child to read.